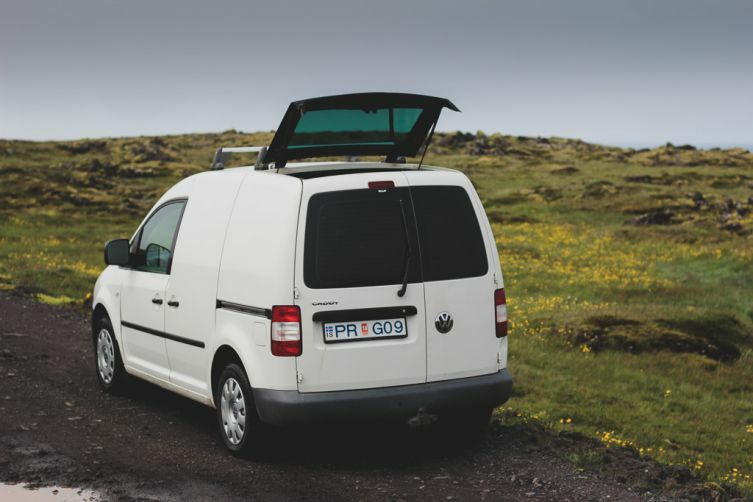 The VW Caddy Camper van is our second newest addition to the Iceland Miki Cars fleet. It comes fully equipped with everything you need for camping around Iceland. Not only is it equipped with lightweight camping chairs and table. Sleeping room and seats for 2 people. Double bed. Everything went fine. Great attitude from the owner. Excellent vehicle, and very nice owner. We've rented it in winter and everything went fine. Thanks a lot !